Tuesday, news broke that Suicide Squad director David Ayer will stay in the DC film universe with an all-female film called Gotham City Sirens, which will star Margot Robbie as Harley Quinn. But buried beneath that news is the potential of two other films based on this summer’s DC team up. 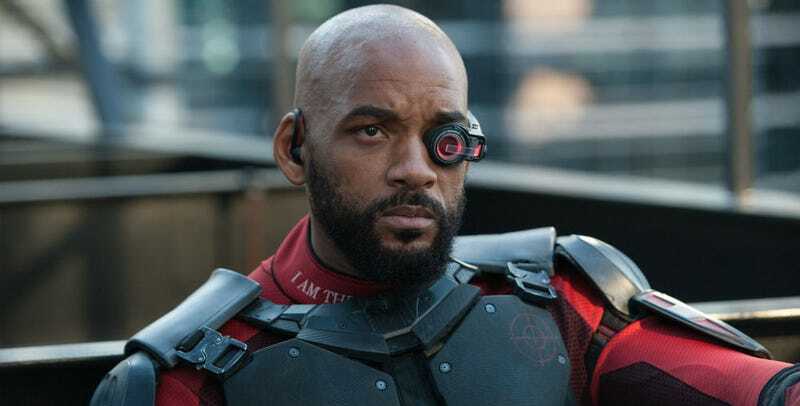 According to The Hollywood Reporter, in addition to Gotham City Sirens, DC and Warner Bros. are working on a Suicide Squad sequel and a spinoff featuring Will Smith’s Deadshot. That’s three films that will directly follow up on Suicide Squad. However, you also have to remember that we still don’t know where Jared Leto’s Joker is going to appear again. That could be another movie or potentially the Suicide Squad sequel. Plus, there’s Ben Affleck’s The Batman, which we all assumed would feature Joker or Deadshot (remember Deadshot has a huge beef with Batman in Suicide Squad). But, at the moment, we only know that Deathstroke is in that movie. All three of those guys could appear in that movie. Or just the one, we do not yet know. Honestly, this all kind of makes sense, though. Suicide Squad may have been savaged by critics, but it did very well financially. And even critics of the film admitted that Smith and Robbie were highlights. Plus, they’re massive movie stars. You don’t cast them for one film, as popular comic book characters, and then put them on the shelf. When audiences might see Suicide Squad 2 or Deadshot is anyone’s guess. What we do know is the DC Extended Universe is in full swing. Wonder Woman is the next film we’ll see, followed by Justice League. James Wan is currently casting Aquaman (which will be out in October 2018) while The Flash looks for a new director. Affleck continues to work on The Batman and now there’s Gotham City Sirens which, with the addition of Ayer as director, sort of moves into a pole position among those films. It could very well get the other Untitled 2018 DC slot, or one of the 2019 spots as well.